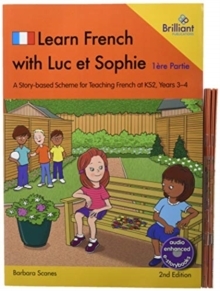 Learn French with Luc et Sophie is a story-based approach to teaching French at Key Stage 2. It is a two-part scheme, with Part 1 (1ere Partie) aimed at Years 3-4 and Part 2 (2eme Partie) at Years 5-6. 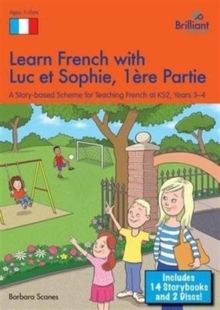 Learn French with Luc et Sophie, 2eme Partie will not only provide you with 14 specially written French storybooks, it will also provide you with a wealth of creative teaching ideas to ensure coverage of the Foreign Language Programmes of Study in the September 2014 National Curriculum for England in Years 5 and 6.  The 14 units in Learn French with Luc et Sophie, 2eme Partie build on those in 1ere Partie. Each unit is based around a story featuring a young brother (Luc) and sister (Sophie) and their friends and family. The topic-based stories contain easy-to-read language and introduce key vocabulary and language structures. 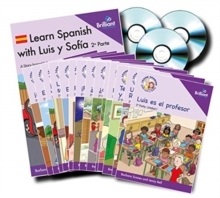 In the Learn French with Luc et Sophie, 2eme Partie Starter Pack, you will find everything you need: 14 specially written French storybooks; a comprehensive teacher's guide; CDs containing audio tracks of the stories, acted out by native French speakers, songs, instrumental files for the songs, vocabulary lists and listening exercises; a CD-Rom with pdf versions of all the stories, to enable them to be displayed on an IWB, a pdf of the teacher's book, along with games, vocabulary files, reading passages and sentence building activities for use on a Smartboard. 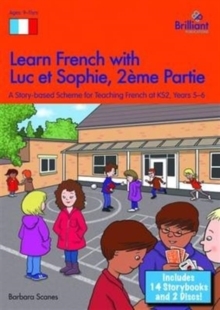 The author has 12 years of experience teaching French to 4-13 year olds, and prior to this was a secondary French teacher.